How much do I love beets? Enough to buy a snack pack of Love Beets at Wegmans. There are little round bite sized beets, cubes of cheese and crackers in the snack pack. Tasty! 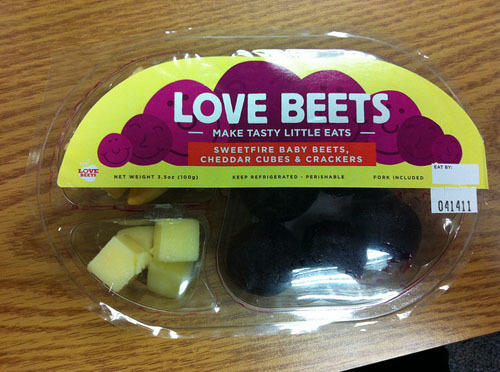 I loooove me some beets! Pickled are the best. Your blog alone makes me wish we had a Wegmans.